If you have already started the hop, you should be coming from Maria Myers. Supplies used are all Close to My Heart: Make It From Your Heart Volume 1 (Pattern 4), Ariana Paper Packet, Lollydoodle Paper Packet, Ivy Lane Paper Packet, Pink Glitter Paper, Lollydoodle Complements, Lollydoodle Assortment, Sparkle Flourishes, White Daisy Cardstock, Cotton Candy Washi Tape (retired), Flamingo Dots, Cricut Art Philosophy Collection, Corner Rounder, and 3D Foam Tape. 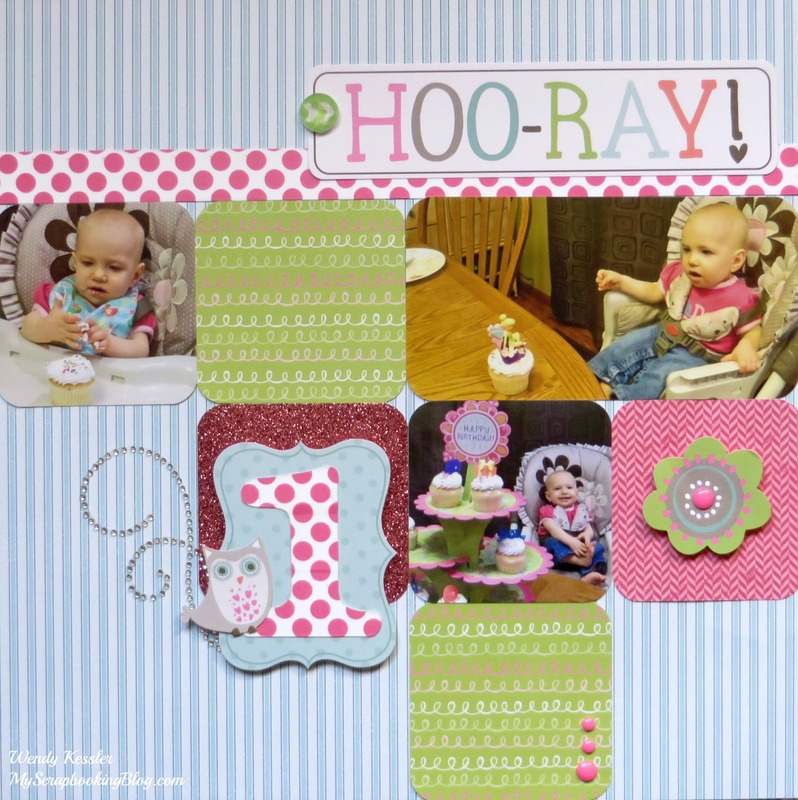 This layout is a great example of how you can mix and match all the paper packs and embellishments! Who would have thought that Ariana, Ivy Lane, and Lollydoodle could all be used together?!? What I really used were all the scraps left over after completing the Workshop on the Go Kits for each of these papers. I am very pleased with this layout of “scraps”! I cut the number with using Art Philosophy, layered it with Washi Tape, and trimmed the edges. I used this same technique for the polka dot border on the top. Sorry, I keep forgetting that the Cotton Candy Washi Tape is retired; I just really like it! For this layout you could substitute another Washi Tape. There are many that would coordinate. Sheila Bennett is your next stop! This is just the list of participants if you get lost along the way. Click HERE to start the hop now.